Mukhyamantri Yuva Nestam, an unemployment allowance scheme has been approved by Andhra Pradesh Government to provide Rs 1000 per month unemployed youth in state. It was announced by Andhra Pradesh IT Minister Nara Lokesh. State Government also impart skill development and train youth in fields of their interests. It is also planning to roll out apprenticeship programme by integrating state and central schemes through which the youth can get on-job training and upgrade their skills. Invest India under Department of Industrial Policy and Promotion (DIPP) in partnership with energy companies has launched Integrate to Innovate Programme (i2i) for startups in energy sector. It is three-month programme for startups in the power sector aims to foster collaboration between startups and large corporations of the energy sector. i2i programme will provide opportunity for startups for collaboration and conversation around valuable energy transitions by bringing their ideas to life with guidance and support from corporates. Invest India is official Investment Promotion and Facilitation Agency of Central Government under DIPP, Ministry of Commerce and Industries. FICCI Ladies Organisation (FLO), the women’s wing of Federation of Indian Chamber of Commerce and Industry (FICCI) has launched WOW (Wellness of Women) mobile application. It is aimed at creating awareness on preventive healthcare for women across the country. WOW app is backed by Chennai-based Apollo Hospitals Group that offers access to renowned doctors and provides health tips. It provides easy to use platform that allows users to talk to doctors through video conferencing or connect with them via voice or email. FICCI is the largest and oldest apex business organization in India. It is a non-governmental and non-profit organization established in 1927 and headquartered in New Delhi. 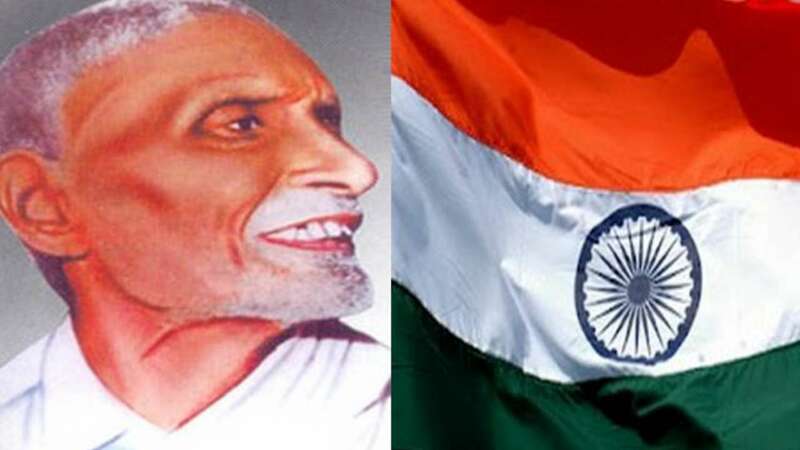 On August 2, 2018, 141st birth anniversary of freedom fighter and designer (architect) of Indian National Flag Pingali Venkayya was observed. He was born on August 2, 1876 in Krishna district of Andhra Pradesh and died in 1963. Venkayya had published book in 1916 offering thirty designs of what could make Indian flag. Acknowledging need for national flag, Gandhiji then asked Venkayya to design fresh one at national congress meeting in 1921. The flag design was approved Gandhiji and later officially adopted by Indian National Congress in 1931. The national flag is horizontal rectangular tricolour of India saffron, white and India green, with Ashoka Chakra (24-spoke wheel) in navy blue at its centre. NITI Aayog has launched global mobility hackathon Move Hack to crowdsource solutions aimed at future of mobility in India. It is envisaged as one of the largest hackathons globally. It is first platform in the world that has enmeshed public transport, private transport, road safety, multimodal connectivity and new age transport technologies such as zero emission vehicles and intra city aerial transport spearheaded by Government. MoveHack aims to bring about innovative, dynamic and scalable solutions to problems pertaining to mobility. It is organized in partnership with Government of Singapore and is powered by Hacker Earth. PwC is knowledge partner and NASSCOM is strategic partner. Defence Research and Development Organisation (DRDO) conducted successful tested supersonic endo-atmospheric interceptor missile developed under Ballistic Missile Interceptor Advanced Air Defence (AAD) System from Abdul Kalam Island (earlier known as Wheeler Island) Odisha. The interceptor missile was launched against multiple simulated targets of 1,500 km class ballistic missile. It has been developed as part of indegenous efforts to have multi-layer ballistic missile defence system, capable of destroying incoming hostile ballistic missiles. Lok Sabha has unanimously passed Constitution (123rd Amendment) Bill, 2017 by two-third majority. The constitutional amendment bill seeks to grant National Commission on Backward Classes (NCBC) constitutional status at par with National Commission for Scheduled Castes (NCSC) and National Commission for Scheduled Tribes (NCSTs). The Bill seeks to make NCBC Constitutional body by inserting new article 338B in constitution composition, mandate, functions and various officers of NCBC. Article 338B will give NCBC authority to examine complaints and welfare measures regarding socially and educationally backward classes. The Union Minister of Railways, Piyush Goyal has approved a new policy for promotion of railway sportspersons. Under this policy, the railway sportspersons who have won a position or medal in the Olympics and all those sportspersons and coaches who have been awarded the Padma Shri will be promoted as officers. The new promotion policy, not only reaffirms Railways’ commitment to the promotion of sports in the country but it will also act as an incentive to the country’s elite sportspersons and coaches. 1. Which of the following state has approved Mukhyamantri Yuva Nestam, an unemployment allowance scheme? 2. When was FICCI established? 4. How many spokes are there in Ashoka Chakra of Indian National Flag? 5. Which is one of the largest global mobility hackathon launched by NITI Aayog to crowdsource solutions aimed at future of mobility in India? 6. Constitution (123rd Amendment) Bill, 2017 is __ amendment of the constitution of India. 7. Which Article is going to be inserted into the constitution with the approval of Constitution (123rd Amendment) Bill, 2017? 8. Who among the following has approved the policy for promotion of sportspersons in the department?